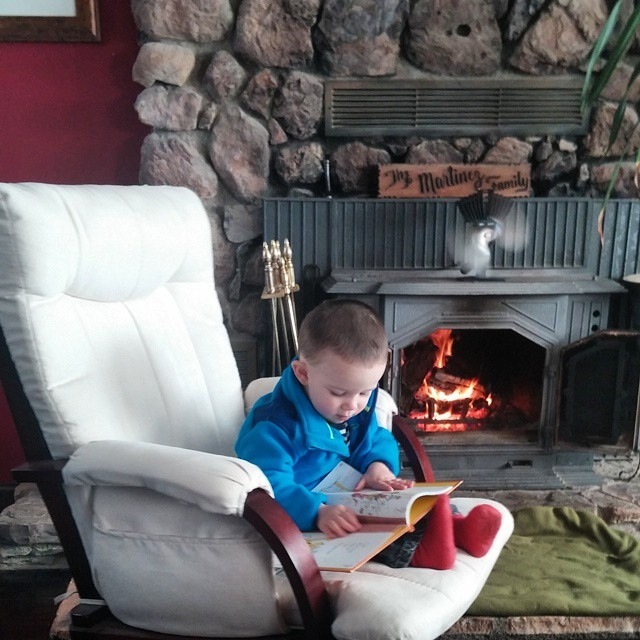 While I was browsing Instagram photos I came across a picture of my adorable nephew reading a book by the fire. I thought this was so cute that I had to share it with all of you. He’s reading a book I got him called Go Dog Go. I’m sure some of you have heard of it. It was one of my favorite books as a kid and it was so great seeing him reading it. That is a great pic! He definitely is adorable.